I know this is going to sound funny, but the whole idea of book clubs confused me until relatively recently. Six years ago, when my friend Bonnie invited me to join hers, I was wary, and had lots of questions. What was up with women and book clubs? Wasn’t it easier to just read on your own? Wasn’t it a lot of pressure to present an educated opinion on a book? What if I didn’t like the book? What if I never liked any of the books? Also, I hate my filthy couch right now, can I not host until I get a new one? Later that night, when I was sitting on Bonnie’s (very clean) couch, and the selected book came up — Wench, didn’t love — I cleared my throat and presented my two-minute, well-crafted opinion, one that was remarkably resonant of my daughter’s second grade book report. Everyone else weighed in casually, like normal people, in between conversations about Fresh Air, which event to volunteer for at school, what the kids are going to be for Halloween, where to get the best pad-thai takeout. Oh! So it’s not a college seminar. It’s fuuuunnnnn. 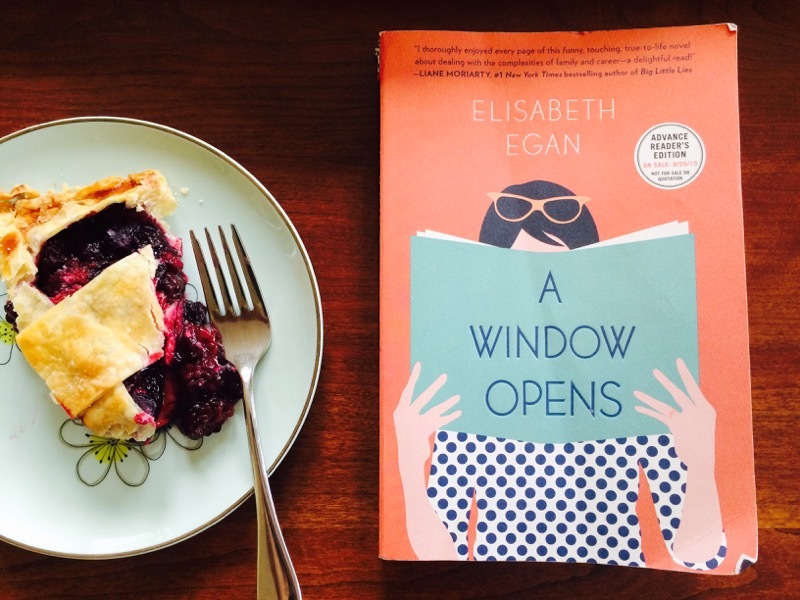 A Window Opens (shown up there next to the triple berry pie) is also on deck, and is, in fact, the novel that inspired this post. I don’t say this lightly, but I think it was the most fun I had all summer. (And I went to Amsterdam in August!) It’s about a woman named Alice Pearse who decides to return to full-time work at an Amazon-like company after her husband loses his job as a corporate lawyer. She’s a mother of three and until that point, had always felt “the tiniest bit smug” about her work-life balance situation, punching the clock as a part-time magazine editor and PTA mom in equal shifts. I know that phrase — work-life balance — is now on the banned phrase list right below “having it all,” but I don’t care, I’m such a sucker for these stories. Especially when the stories haven’t been written like they’re mere pitstops for the movie version, complete with hen-pecked husband and mom who forgets about the recital. AWO is one of the most nuanced and honest novels about parenthood that I can remember. As the mother of three kids in real life, Egan knows she doesn’t have to look very far for drama. Not high-wire-revenge-plot-against-the-boss kind of drama, but the small-scale things that can feel so weighty for a parent: A daughter who is suddenly dumped by her best friend; watching your kid ride a bike for the first time; leaving your family for a solo business trip and feeling kind of guilty about loving it. Not to sound like a self-help book you’d buy at an airport, but that small stuff isn’t small. It’s everything. Especially in Egan’s hands. This is what I plan to present to the book club when it’s my turn to talk. Is it OK? OK, enough about the books. Let’s talk menu. I know people who belong to book clubs where there is a bonafide sit-down dinner, and each person at the table presents his or her take in clockwise order in between the entree and dessert. As you’ve gathered, we’re not that kind of club, favoring post-dinner snacks and sweets. 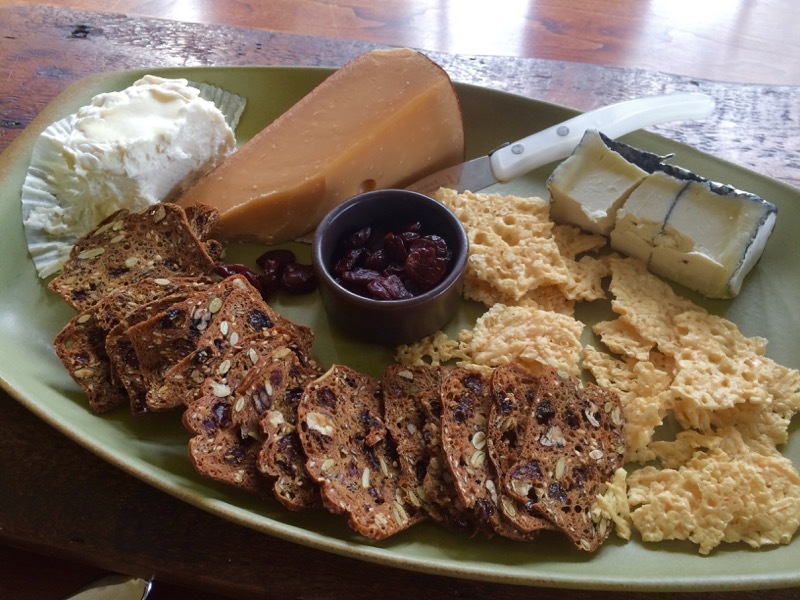 I almost always go with what you see above: Cheese (La Tur, Aged Gouda, Humboldt Fog, Parmesan Crisps) Rosemary-Pecan Raincoast Crisps, Dried Cherries, and some kind of Pie or Galettte. Above is a summery triple-berry number that will be in my next book, but you could do a lot worse than Deb’s Key Lime Pie or my cheater’s Cherry Galette. P.S. 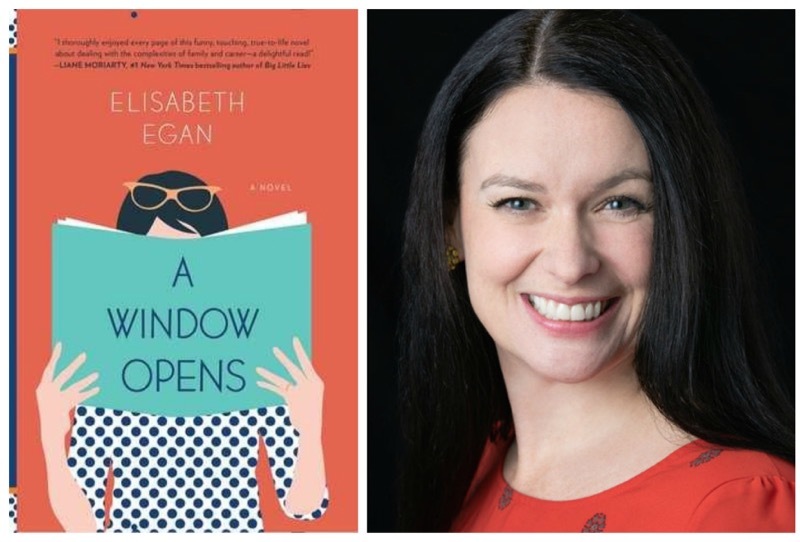 Plan on reading A Window Opens with your book club? If so, comment below to be eligible for Elisabeth Egan to call in and answer questions on the night you get together. (Thank you Elisabeth Egan!) All you have to do is comment with the hashtag #AWO and tell us what to read next. Winner will be chosen Friday, October 23 at 3:00 PM ET. Good luck! Thank you for the recommendation. I read the excerpt on Amazon and put a hold on the book at my library. I’ve read nine of the books on the list you presented. Really liked Tell the Wolves I’m Home and Interpreter of Maladies. Hated Wild by Cheryl Strayed so, so much. I’m glad you also included your food contributions to book club. Last month, my 7th grade girls book club felt guilty about talking about the cupcakes almost as much as the book. I righteously explained to them that book clubs were also about the food. I will be showing them this post at our next meeting! I am hosting my book club this Saturday, and it is the 4th annual wine tasting book club event. We meet monthly, but only do an “official” tasting 1x/yr. I will be serving DALS Pork Shoulder Ragu with Pappardelle! Our book this month? Where’d You Go, Bernadette? We usually read something closer to literature, but not always. The book club is about to get the link for your post about book clubs. Euphoria by Lily King is beautiful and vivid, a real gem of a book. #AWO. It’s on the list for 2016! Just finished A Man Called Ove and loved it! One of my favorite books ever…and I read a lot! We’re reading Station Eleven next – I HIGHLY recommend it. I loved it! I’m in two book clubs and can’t get enough 🙂 I’d love to read AWO for my other book club – we’re still deciding what to read. Whoops – forgot #AWO. Also read Fates and Furies. I strongly suggest reading “Another Kind of Hurricane” by Tamara Ellis Smith. And I can’t wait to read #AWO !! I LOVED Big Little Lies… such a breezy whodunit with some good mom drama thrown in. Haha, I like your dialogue on book clubs. I’ve been asked to join a few but haven’t committed so far because I would have to hire a babysitter. Oh well. Maybe in a few years. But great book suggestions! I’ve been struggling to find anything good to read in a long while. In fact, I’ve started several books and just couldn’t finish them I was so bored. I found I would rather deflate the floaties from the pool ~ yes, that’s still not done! Tracy K. Smith’s memoir, Ordinary Light, is short-listed in the non-fiction category for a National Book Award. I recommend it. It sounds like everything about this book is me!!!! I just went back full-time Oct. 1st. My house is a nut house. My son is celebrity this week (this involves a poster with photos printed and I need to go in to have lunch with him), Kindergarten Potluck is Thursday, his birthday is Thursday, 2 pumpkins had to be carved for the Pumpkin Stroll that is..you guessed it, Thursday. Cupcakes are needed for potluck as well as my company bake sale. My daughter has 2 doctor appts. this week, 3 soccer pratices, a Friday afternoon birthday party and 2 games this weekend. Oh and back to that 6 year old, his party is Saturday. Did i mention I am working fulltime and I shouldn’t even be reading this blog..but I had to for sanity!! (rantover!) I have friends that want to start a boo club..this would be an amazing way to kick one off!! Your book club has excellent tastes. I’ll definitely be keeping an eye out for A Window Opens. Oh book clubs. I felt the same way til I joined mine – though my first question was “Will there be wine?” Now I’m hosting for the first time next month, and we’re reading Wild. #AWO sounds right up our alley! We had a great discussion of “The Woman Upstairs” by Claire Messud… I’m not sure if I loved it, but our conversation was really great! Book club is the best! Ours always tailored the food to whatever book we were reading, ie. tapas for a book about Spain, which was super fun (I moved away from the club, or else I’d still be going… tear). But one of my favorite books has been People of the Book by Geraldine Brooks. It fits in line with some of the stuff you’ve got up there. This is great timing. I have to choose the next book for our December book club meeting. I think we will plan on reading A Window Opens. I’m in two book clubs, neither of which are the standard go-to-someones-house model. There’s no pressure to host (or cater!) and we mostly joined as strangers. One is organised by an independent bookshop, where we set up chairs in a quiet corner and the other is associated with a cinema (we read adaptations and they do a screening) where the group meets in the attached bar. I end up reading a lot of stuff I would never have picked out myself, and I get a lot out of it even when I hated the book! Our book club would love to read #AWO! My favorite has been Code Name Verity by Elizabeth Wein. I loved Code Name Verity SO. MUCH. The audio book is amazing, one of few that I would say it’s better to hear than read. So good to get new suggestions (we’re heavy on things that have been reviewed on Fresh Air). We just read “We are all completely beside ourselves,” and are discussing it tonight, funnily enough. One person found it so unbearably sad she is threatening not to come; I think the rest liked it. It is sad, for sure, but a lot more too, I think. Thanks for the tips! (I came to your site looking for the quick pickled onions, for quinoa bowls–we do a sit down dinner, but free-flowing conversation). Sipping Chardonnay and eating fancy cheese while chatting about “Fresh Air, the best place to stay in Block Island, which event to volunteer for at school, what the kids are going to be for Halloween, if the new Japanese-Chinese (#suburbs) place is good for takeout.” Is this a post on Stuff White People Like? Do you think about how this stuff must sound to readers who are not white and upper-middle class? Wow, Kristin, it really is SWPL! I meant it as a parody of book clubs in general, but clearly if I have to explain that, it’s not working. I will tweak it but keep the sentence in your comment as a reminder to be better. Thanks. Sometimes SWPL (more aptly, Stuff Privileged People Like) is just that, and not a blithe disregard for what other people may or may not have or like, IMO. 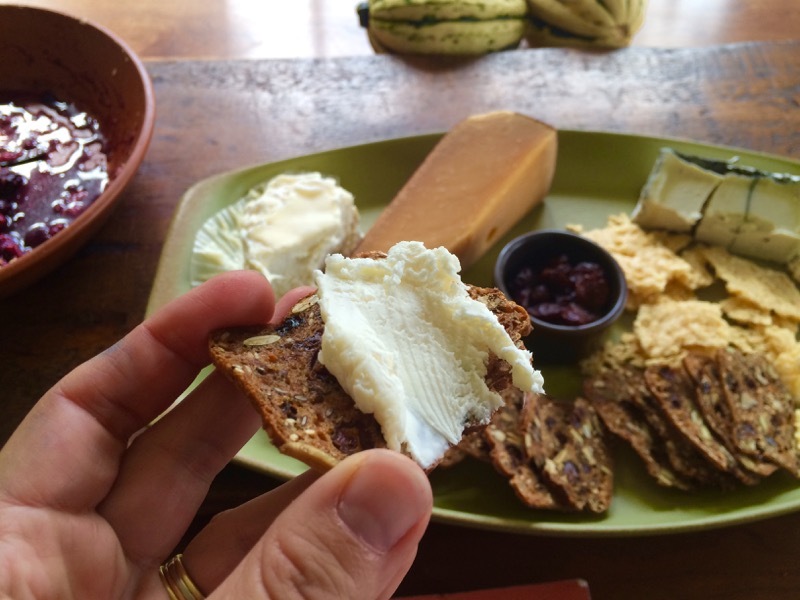 We have an abundance of food in this country, too; that doesn’t mean we shouldn’t publicly discuss the variety and plenty we enjoy here, which is why we come to this and other food blogs. Again, just my opinion. I’m all for checking privilege, just not sure this is the most suitable venue for it, no disrespect meant to the poster. Was in a book club for years (until it shifted out of my neighborhood) and really loved it; made me read books I would of otherwise not given a second look! Thanks for the great reading list Jenny, I can always count on you! I just read “The Immortal Life of Henrietta Lacks” (can’t find how to underline title so it’s in quotes, I’m weird like that) by Rebecca Skloot. I highly recommend reading this book. I also loved “Blood Bones Butter”. I want you in my book club. My biggest gripe about book club is that we did very little talking about the book. I’m going to ditto the Room recommendation (don’t read it when you’re home alone!) and tell you to pass on A God in Ruins. I was greatly disappointed. #AWO I’m hosting our book club in November and we are reading AWO! I really enjoyed Big Little Lies by Lianne Moriarty. You inspired us to pick this as our next read!! I love our book club, in addition to being fun it is also an amazing place to vent! I’m so glad you posted this, I’m always looking for another book to read. I downloaded it the same day I read your post and then devoured it over the weekend. GREAT recommendation. My only regret – books I like that much I prefer in hardcopy to keep on a bookshelf. Wish I had just run out to get it instead of downloading it!! My desire for instant gratification did me wrong…thanks again. It is so funny that you would bring up book club…my club meets at my house next week and the book I picked is The Wind Up Bird Chronicle; I read about it on here when you wrote about his other book about running. And my book club is mainly about food and what is going on in the neighborhood..we read the book but talk about it for about 15 minutes!